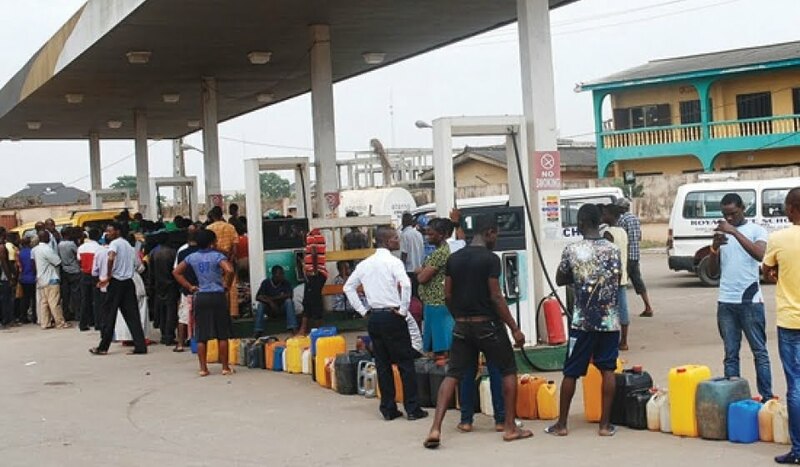 The Independent Petroleum Marketers Association of Nigeria (IPMAN), Ibadan chapter, on Wednesday told residents of Ibadan and its environs to brace up for another round of fuel scarcity due to the activities of pipeline vandals. IPMAN added that there is the likelihood of a scarcity of petrol in Ibadan and other towns due to the non-availability of the product at the depot which is as a result of pipeline vandalisation. The union, in a statement signed and made available to journalists in Ibadan by Alhaji Raheem Tayo, IPMAN Chairman, said it was worried that “the situation had persisted in spite of the intervention of the Vice President, Professor Yemi Osinbajo”. Tayo said the Federal Government had made substantial re-investment through the Nigerian National Petroleum Corporation to “resurrect” the Ibadan depot which had been moribund for more than two years. According to him, the development culminated in the inauguration of the depot by the Group Managing Director of the NNPC, Mr. Baru Maikanti, in October 4, 2017. He also said that with the commissioning of the depot, a massive pumping of petroleum products, mainly Premium Motor Spirit (PMS), to the depot followed, which directly led to increased activity. “The loading of petroleum product was so well unhindered thus wetting all the nooks and crannies of the depot, which eventually led to cessation of fuel scarcity. The primary factor that made the depot go under for some years was because of pipeline vandalism. “Pipeline vandalism seems not to have been well taken care of as its resurgence becomes more daring thereby threatening another total closure of the depot with serious consequences to the supply of petroleum products to the depot. Tayo disclosed that the agitation by Ibadan depot stakeholders led the NNPC management in Abuja to mandate their security department to meet with stakeholders, regretting that the meeting with stakeholders and other relevant security agencies in the state, aimed at finding solutions to the continuous damaging of the pipelines, was aborted. He explained that, “Now that the vandals have grounded Ibadan depot again because NNPC cannot push products through the pipelines,the public should brace up for another round of unpleasant period of fuel scarcity.